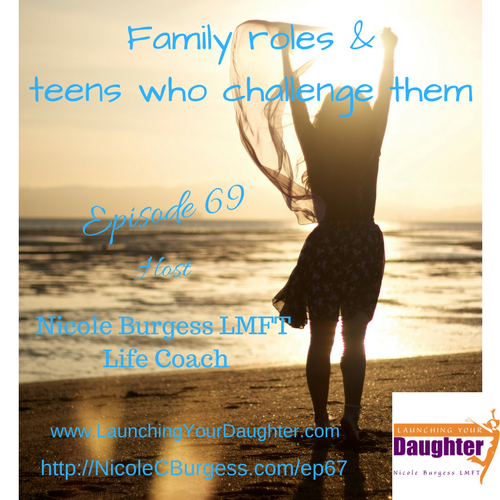 In today’s episode, I am going to discuss family roles and how your teenagers can challenge them. Before I get into this I want to share a movie I watched recently called Tommy’s Honour. It is based on true facts regarding a father (Tom Morris) and his son (Tommy Morris) in the late 1800’s in Scotland. These two men are credited with being pioneers of professional golf. Tom wanted Tommy to take over the business of being greens keeper and the club and ball maker when he died. Tommy wanted to play golf and challenged not only his family role but unwritten rules of social class. Tommy and his father had various conflicts when his dad attempted to remind him of his role or place in life. Tommy not only changed professional golfers being paid fairly, but role modeled not letting prejudice or old beliefs systems stop him from loving the woman he married. Margaret (Tommy’s wife) had gotten pregnant out of wedlock and was banned from her church and Tommy’s mother wanted him to “never see her again” when she discovered this information. Tommy went against his mother’s advice and the towns. Margaret informed Tommy’s mother of some missing information and the two women reconciled their break in the relationship. Toward the end of the movie, Tom makes a decision for his son vs allowing his adult son to make the choice himself, and it had a heartbreaking impact on Tommy. Tommy showed his Dad how we can love through the biases, not live to get other people’s approval and forgive others when they have made mistakes.